When you are starting a business online, you are going to need a catchy domain name that you could use for branding and promotional purposes. But it goes beyond that. Having a lousy domain is the best way to get forgotten and lost in the crowd. Besides, a long domain will be hard to remember for your visitors and would leave a bad impression on your first time visitors as well. Domainsbot: one of the few tools that I have been using on a consistent basis in the past few years. The interface is ajaxified and very easy to use. The service comes with options to help you find brandable domains fast. 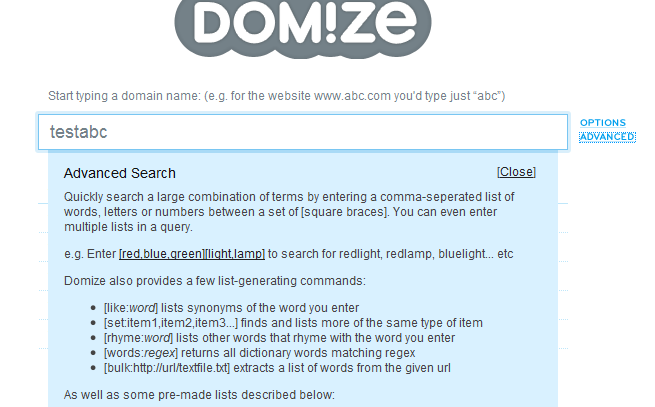 Domize: one of the more innovative domain tools one the market. You can combine your key terms and let the engine go to search for you. You can search through synonyms and even pass regular expressions to the engine. Domainr: Domainr is an interesting tool that can dig up gems of domains out of thin air. If you have heard of domains such as bit.ly or su.pr and want to have a similar domain for your business, Domainr is the tool to use. Choosing a domain name for your business is perhaps one of the most important decisions that you ever make for your business. A catchy domain name not only helps you with your branding efforts, but it could also help bring a lot of traffic to your site. That is why you shouldn’t take your eyes off the ball when it comes to choosing a domain name for your business. Domains may be cheap but that doesn’t mean you should take them lightly. choose a meaningful domain name. stick with a short domain. Long domains are harder to remember and inconvenient to type out. avoid using hyphens and numbers in your domain if possible. avoid using other companies’ trademarks in your domain (that includes YouTube too!). register all versions of your domain name. register sibling domains for your future business plans. 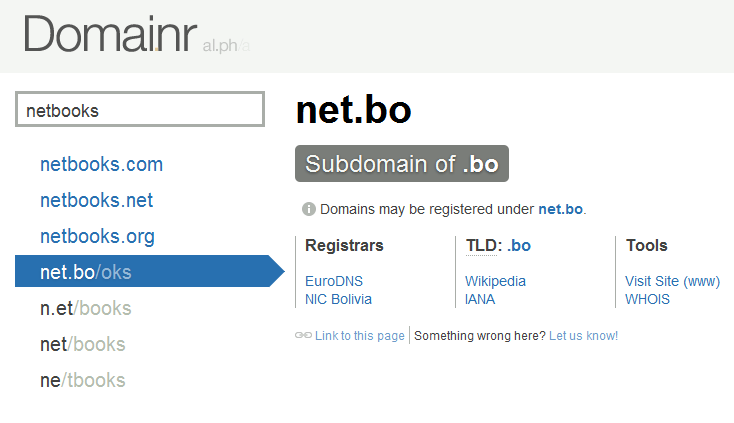 do not register a .net domain without getting its .com version first. work with domain registrars with a good track record. do not choose a silly domain name, unless you are in the right niche. keep an eye out for your brand in other people’s domains. ask your domain registrar to lock your domain. I have personally worked with the following companies as they have the best prices and give you the best bang for your buck. If you are looking for an affordable solution for your business domain needs, you can go wrong with the above companies. Flipping niche sites is very popular in the Internet industry. You can make a lot of money by choosing the right niche and creating a massive site about it. If you look at some of the sites that are being sold on SitePoint, you realize that there is a lot of money to be earned in this field. Niche resource sites also provide you with the opportunity to sell affiliate products and make passive income while you are waiting for a buyer. The key to having success with aniche website is pinning down the right niche. You can always use tools such as WordTracker and NicheBot to find out what niches are in demand. A lot of folks made lots of money creating MySpace-based niche sites a few years ago. Those goldmines are still out there to be found. You should try to design a business plan for every niche site that you own. Some sites sell quickly and some don’t, but why would you want to sell a site if it brings you $1000 a week (unless you are offered enough money to cover 5 years worth of revenue in advance)? You can not only earn revenue from Adsense, Widgetbucks, and other advertising sources, you can also make a killing with eBay and Amazon products too. And if you can actually show how much money your site is earning months in and months out, you can easily sell your niche website for a fortune (see Flipping Niche Site Resources). Blogs have become quite popular these days. Many pro bloggers earn $50 – $100K a year with their content. Blogging is an industry that is growing rapidly, and you can expect more folks to try to get into this market. That is exactly why flipping blogs still makes sense. There are three ways that you can flip blogs. Depending on the amount of time that you are willing to put in towards building and enhancing your blog, you can earn anywhere between 1 to 100 times worth of what you paid to acquire your blog (see Flipping Blog Resources). You can flip blogs by building sites in hot niches and sell them for a profit. This strategy usually works the best with new or untapped markets. By doing proper market research, you can find which niches are worth going for. If you find a niche is in demand, there is a good chance someone wants to blog about it. And they wouldn’t want to start from scratch, now would they? Another way to make money from blogging is by buying under-performing blogs, making enhancements, and selling them for a profit. The goal here is to improve your blog’s traffic and functionality and sell it to the interested buyers. This is more of a long-term approach but the return on investment can be much higher here. Basically, you buy an established blog (it will probably be expensive). Preferrably, you want to buy a blog that earns significant revenue every month. You can then try to improve the blog and your earnings until you get your upfront investment back. Then, you can sell the blog for pure profit. Flipping domains is all about buying new or expired domains and flipping them for cash. There are various ways to flip a domain. You can create fully-fledged websites and drive traffic to your domains before selling them. If you have a one word domain name (e.g. Car.com), you probably don’t have to do much to earn big bucks for it. But even if you don’t have such a domain, you can still make money buying and fixing up under-developed domains. Some folks even take the easy route and drive traffic to their parked domains. At the end of the day, the more work you put in, the more money you can earn (see Flipping Domain Resources). Squidoo is a great source of income for many Internet marketers. But did you know that you can actually sell your Squidoo lenses? That’s right. If your lense is getting enough traffic, you can expect to make decent money flipping it. Squidoo is great as it comes with a set of built in features that can help you build powerful lenses fast. Your goal should be to provide valuable information that others are looking to consume. The more traffic you get to your lenses, the more money you can make from it. And let’s not forget about Squidoo lenses getting ranked well on search engines (see Squidoo Resources). The upfront investment with Squidoo is so low that anyone can do it. Flipping niche sites, blogs, and Squidoo pages is fun, but that’s not all you can do here. You can create portals and professional websites and flip those as well. One way to flip a website is buy adding innovative features to enhance its functionality. Think about it. How much money could you have earned had you been the guy who created the first online calorie calculator? Creating innovative sites doesn’t have to be hard. You can keep things simple and still provide value to your visitors. You can also just buy an under-performing site, increase its traffic or enhance its features and sell it for profit. The key here is really traffic + revenue. If you can show you are making money with your site, you can sell it for 5 – 15 times your monthly revenue (see Flipping Websites Resources). The sky is really the limit here. Depending on your approach (short-term or long-term), you can expect to make anywhere between $100 to $100,000 per site. Some folks manage to make even more for their sites. The keys to having success in this business are your traffic + revenue. If you are making $100 per month from your site, it wouldn’t be too unreasonable to sell it for $6000 to $10,000. Now, if you are making $1000 from a site on a monthly basis, asking for $60-100K is not unreasonable. So you want to get started with flipping? If you don’t know what you are doing, things can get complicated. It’s always good to know the best tactics and tools to save time and get things right with the first try. Here are a few resources you should refer to to get started with flipping sites. Niche Flip Course: a beginner course on flipping niche sites. You’ll learn everything you need to know to get started with the flipping business. Extreme Website Flipping: an advanced flipping course that teaches you the latest tactics you can use to create and sell your niche sites fast. Atomic Blogging: teaches you advanced pro blogging techniques that you can use to increase your blog’s traffic and value over time. Pimp my Flip: learn how to flip your WordPress blog fast. Flip Domain: teaches you how to get started with domain flipping. You learn how to choose the right domains, where to find domains, how to flip them, and where to sell your domains. Flip Affiliate: Flip Affiliate covers advanced domain flipping techniques that you can use to not only flip domains but also get paid while you are waiting for a buyer. Squidoo Flip: Squidoo Flip is a comprehensive flipping course on Squidoo lenses. You learn how to create killer Squidoo lenses and sell them for cash. Squidoo Queen: a comprehensive course on everything there is to know about Squidoo. Squidoo can be used for more than just flipping purposes. If you are new to Squidoo, this is a good place to get your black belt! Project Site Flip: an intermediate flipping course that teaches you how to earn money flipping your own sites. Project Archimedes: another intermediate flipping course that teaches you innovative ways to generate passive income with your websites and flip them for cash. The Site Rush: a comprehensive flipping course (includes videos) that shows you the exact steps you need to take to build online assets and sell them for profit. 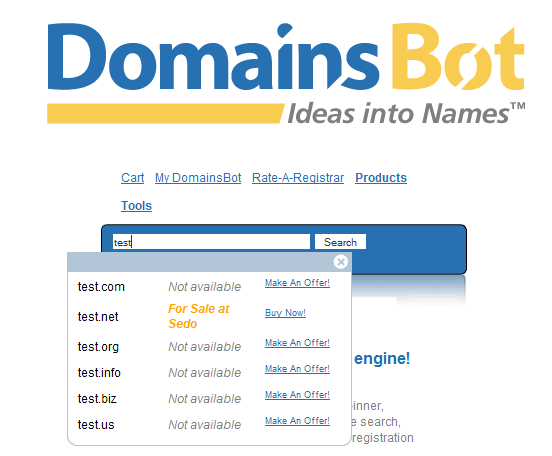 Domainsbot: a FREE domain hunting tool that allows you to find niche domains fast. NicheBot: a niche keyword research tool that allows you to find untapped profitable niches. Micro Niche Finder: yet another keyword research tool that allows you to find micro niches online, fast! Keyword Elite: a super keyword tool that allows you to research and build content website quickly. HyperVRE: looking to create huge portals with thousands of content pages? HyperVRE is just the software you need. WordPress Mu: WordPress’ big brother allows you to create a multi-user blog websites fast. You can use WordPress Mu to run community sites full of content and flip them for cash. WordPress: the best content management system that you can use to start flipping websites. Instant Website Templates: a comprehensive set of themes and templates you can use to build unique looking websites fast. Sedo: a marketplace to buy and sell domains and websites for flipping purpose. Logo Yes: build your own unique logos fast. Logos make your site look more professional, allowing you to earn more money from your sale. LogoMaker: another logo solution that allows you to create professional looking logos for cheap, and it takes only a few minutes.